Blanchard Hill, located at the north end of the Skagit valley near Mt. 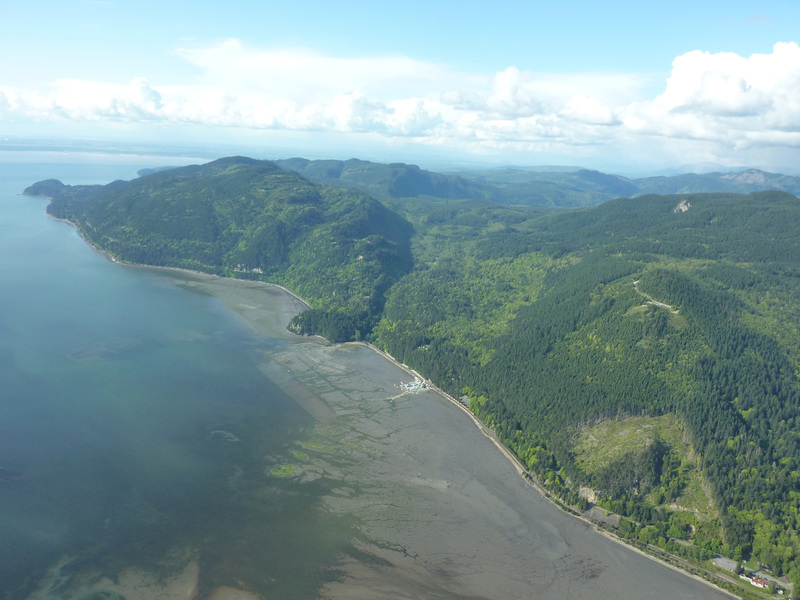 Vernon, is an excellent soaring site, even for novice hang glider pilots accompanied by a sponsor who’s familiar with the site conditions and the landowner requirements at both launch and landing. Overlooking Samish Bay, the view toward the west includes the San Juan and Gulf islands, and to the south is an ever-changing patchwork quilt of farm fields tucked in the northern Skagit Valley. It’s not uncommon for bald eagles to join pilots in the air at Blanchard. 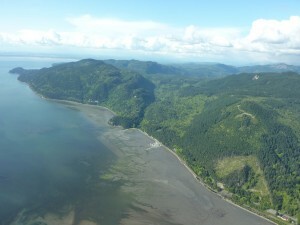 Most pilots agree that soaring with the birds above this spectacular landscape provides one of the finest hang gliding experiences in western Washington! Blanchard is administered by the North Cascades Soaring Club. Protocol: USHPA-insured site, USHPA membership required. Intermediate/H-3 (or Novice/H-2 when mellow). Notes: W and S launches within walking distance of each other. Notes: 5 to 1 L/D to LZ. BEWARE: Some pilots have failed to reach LZ in strong conditions. Additional Notes: Soaring potential excellent as site is located just above the mud flats and water with no inhibitors for lift. North Cascades Soaring Club administers several other sites in northwest Washington, some of which are behind locked gates, most of which have sensitive landowner issues or extremely challenging launch and/or landing. Contact Jeff Beck or Konrad Kurp for more information on NCSC’s sites. All incidents should be documented via the current USHPA incident reporting protocols with a courtesy copy to the site contact. Any incident involving non-pilot property damage, injuries or assistance from non-pilots(EMS, police, public bystanders etc) must also be reported as soon as practical to the site contact. In an emergency, Call 9-1-1 first.